I always get asked about shampoos and based on feedback I wanted to make readers aware of Hair Restoration Laboratories products. 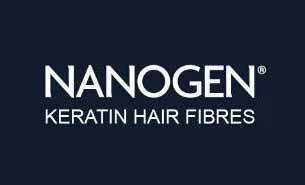 Definitely worth considering these products as part of your regime against hair loss and healthier hair! 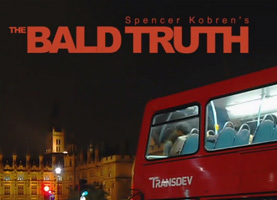 Over the past 10 years, the company has intensely researched the most effective, non-prescription options to effectively prevent and reverse male and female pattern hair loss. 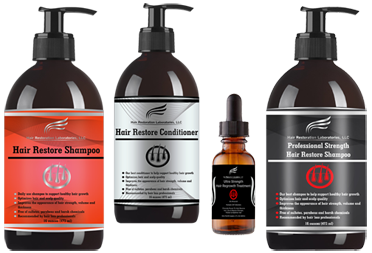 Since its inception, it has proudly helped hundreds of thousands of men and women address and resolve their hair loss and hair thinning concerns through its Hair Restore line of product. 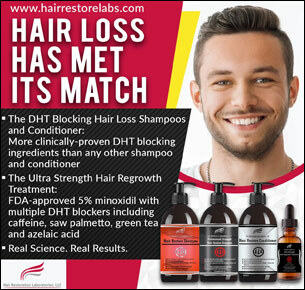 The Hair Restoration Laboratories’ Hair Restore Product Line is devoted to addressing the problems caused by Dihydrotestosterone (“DHT”)–the hormone that is scientifically proven to be the cause of male and female pattern hair loss. Its four (4) step Hair Restore product line is clinically proven to help block DHT from attacking the hair follicles and promote the growth of stronger, thicker and healthier hair. 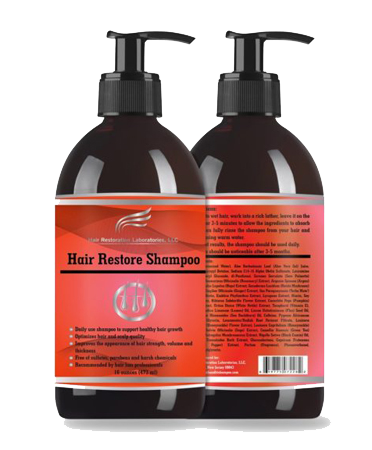 The Hair Restore Shampoo is the daily foundation for men and women suffering from hair loss and thinning due to genetics. 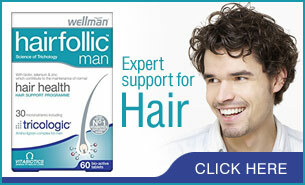 This top rated daily use shampoo supports healthy hair growth and encourages healthier, stronger and thicker hair. It contains an amazing blend of over 20 powerful ingredients clinically proven to block DHT from your scalp, including saw palmetto, green tea, caffeine, pumpkin seed oil, black cumin oil, cayenne fruit extract, reishi mushroom extract, pygeum bark extract and many more. It also contains vital nutrients, extracts and vitamins that will promote the regrowth of healthier, stronger and thicker hair. The Hair Restore Shampoo should be used daily and left on your scalp for a period of 3 to 5 minutes for maximum absorption of the DHT blockers and other ingredients. 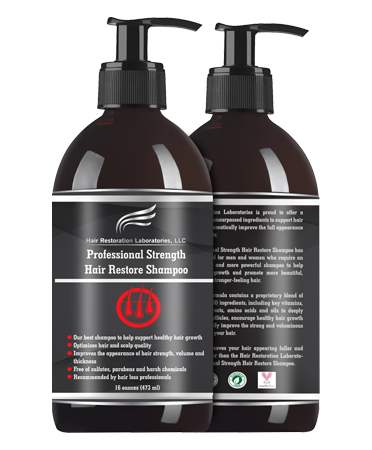 The Professional Strength Hair Restore Shampoo has been developed for men and women who require an even stronger and more powerful shampoo to help support hair growth. 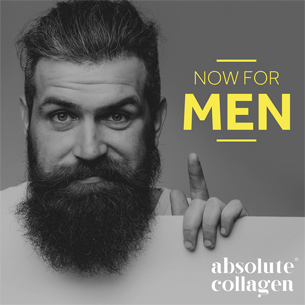 No shampoo contains more ingredients clinically-proven to help block DHT (which causes male and female pattern hair loss) and encourage hair healthier, stronger and thicker hair growth including: Ketoconazole, Caffeine, Pygeum Africanum Bark Extract, Pumpkin Seed Oil, Cayenne Fruit Extract and many more. 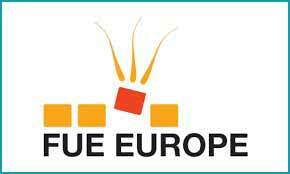 It too contains vital nutrients, extracts and vitamins to encourage the growth of healthier, stronger and thicker hair. The Hair Restore Shampoo should be used 2-3 times per week and left on your scalp for a period of 3 to 5 minutes. 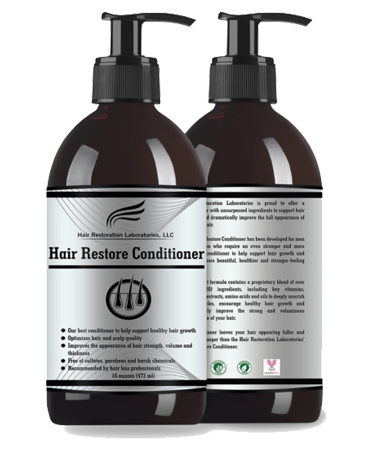 The Hair Restoration Laboratories’ Hair Restore Conditioner is specially formulated to work in connection with the Hair Restore Shampoos. When used together, there is no more powerful shampoo and conditioner combination available to help prevent, halt and reverse hair loss. It includes more powerful DHT blockers then any other conditioner, such as caffeine, saw palmetto, black cumin seed oil, cayenne fruit extract, rosemary leaf oil, pumpkin seed oil, green tea leaf extract, pea extract and many more. It also contains a proprietary blend of extracts, amino acids, oils, antioxidants and nutrients that will deeply condition your hair, nourish hair follicles and increase the shine and strength of your hair. Following use of the Hair Restore Shampoo, the Conditioner should be left on your hair and scalp for 3-5 minutes and should be used daily. 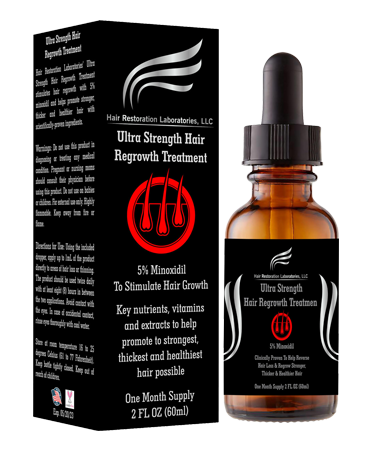 The Hair Restoration Laboratories’ Ultra Strength Hair Regrowth Treatment is different than all other hair restoration treatments available. 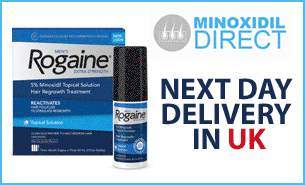 It stimulates hair regrowth with FDA-approved 5% minoxidil, targets the thinning or shedding hair process by helping to block DHT production and optimizes the quality of your hair and scalp with scientifically-proven ingredients. By combining powerful DHT-blocking ingredients, such as caffeine, green tea extract, saw palmetto, cumin seed oil, pumpkin seed oil, azealic acid and other ingredients, the Treatment is able to get to the root of hair loss like no other minoxidil treatment. 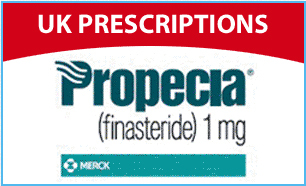 Using the included dropper, apply up to 1mL of the product directly to areas of hair loss or thinning. The Treatment should be used twice daily with at least eight hours between each application. 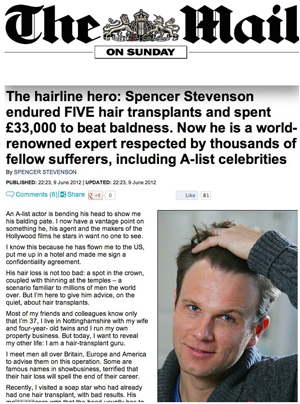 The Hair Restoration Laboratories’ Hair Restore products are available at hairlossdhtshampoo.com.